About the Wine: The Vino Noceto 2016 Marmellata Vineyard Sangiovese is made from 100% Sangiovese grapes harvested from the Marmellata Vineyard located in Shenandoah Valley sub-AVA of California’s Sierra Foothills. Flavor Profile: Open the bottle of the Vino Noceto 2016 Marmellata Sangiovese and be greeted with funky, earthy aromas of dried figs, dried mushrooms, and a kind of rocky, muddy minerality. This Sangiovese is a light rouge-pink on the pour, settling into the glass just the same in the center, but fading out to a pink-orange sunset hue. Once in the glass, the aromas are lighter, riper, and redder: raspberry, strawberry, and a spice-like warmth reminiscent of cinnamon bark. Swirl and the acidity comes alive, bringing forward more of those spice-filled scents and event a bit of chili. Pull away from the glass and find floral notes – like roses sitting out in the desert-hot sun with a forest of trees just a few feet away. The palate of the Vino Noceto 2016 Marmellata Sangiovese is soft. And, yes, a kind of spice-like tingle warms the tongue. There is just a touch of texture to the wine as well as a consistent, working acidity. Dominant flavors are of wild strawberries, dried eucalyptus leaves, cinnamon bark, tart red cherry, and a kick of chili flakes on the finish. 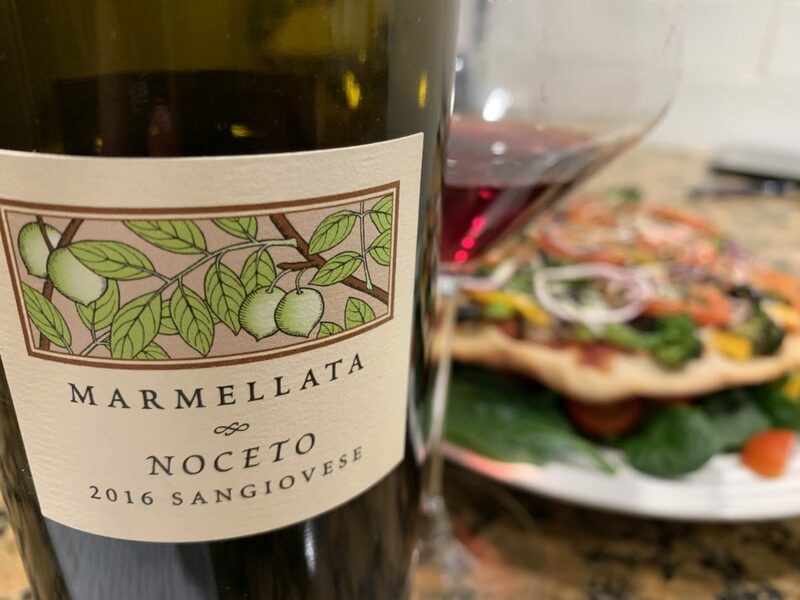 Food Pairing: I paired the Vino Noceto 2016 Marmellata Sangiovese with a pizza. It. Was. Perfect. More Info: I received the Vino Noceto 2016 Marmellata Vineyard Sangiovese as a gift. (Cheers, Jim!) Price: $32. 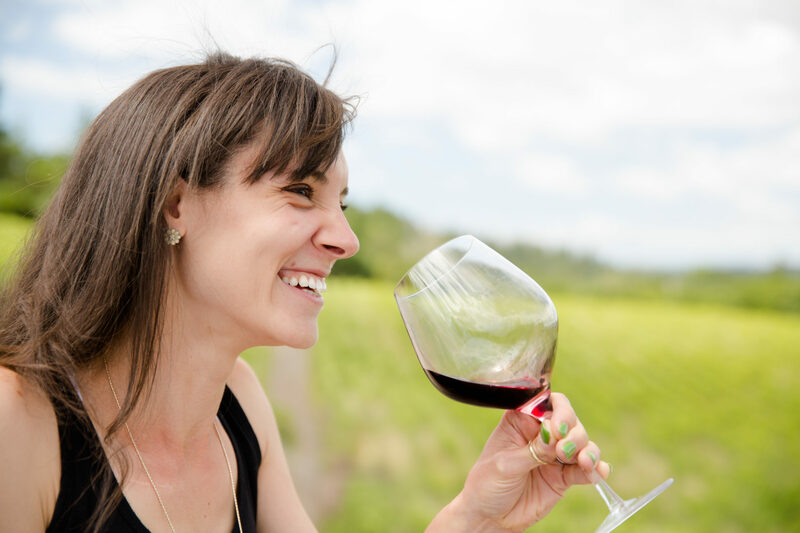 For more information about Vino Noceto, their wines, and to purchase wine directly, please visit the Vino Noceto website.